Webnames.ca Review 2019: Is Webnames.ca a Good Hosting? Canadian company Webnames.ca started with a simple dream: to link clients to the tools and platform to boost their online presence. That plan has worked out so far, as the company has now become a household name in hosting for some of the country’s top brands, individuals, and organizations. Webnames.ca started with a simple dream: to link clients to the tools and atmosphere to boost their online presence. That plan has worked out so far, as the company has now become a household name in hosting for some of Canada’s top brands, individuals, and organizations. 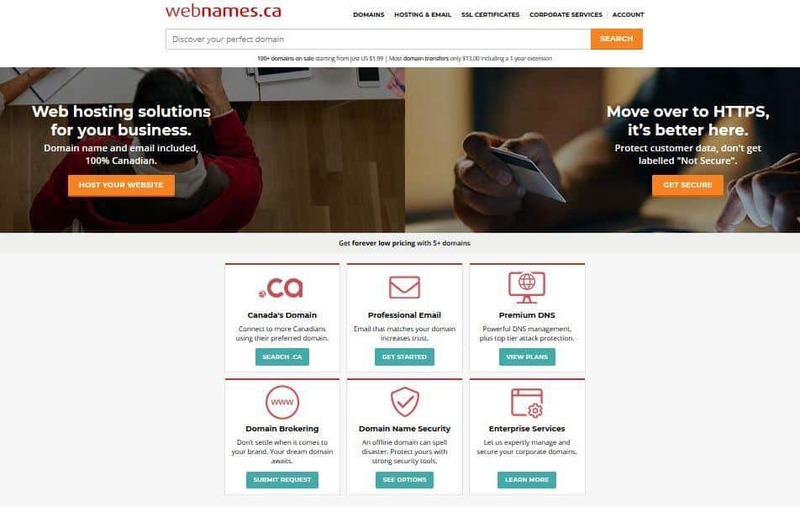 Since its inception in 2000, Webnames.ca has forged a reputation as one of the largest domain registrars, managing hundreds of thousands of domain names. It’s also hosted thousands of websites for emerging businesses and Fortune 500 companies such as the Yellow Pages Group, CanWest Global, ING, and Canadian Tires. Webnames.ca is 100% owned and operated in Canada and offers its services in English. Webnames.ca provides a comprehensive package that is powered by Plesk Onyx, an innovative control panel that allows users to experience a leap in functionality and user-friendliness. If you’re moving over from another provider, Webnames.ca also offers a free website migration service. Beginners will also be happy to learn that there’s a website builder with 100+ pre-made templates available. As a bonus for those concerned about journalistic freedom, since the servers of Webnames.ca are operated domestically, all user content is protected by the privacy laws of Canada. Also, the webmail interface is user-friendly and secure with an improved mobile experience. Each email account includes 500MB of storage. Considering the many wonderful features accompanying the Webnames.ca packages, the prices are inexpensive. All packages come with unlimited storage and unmetered transfer, and you’ll get a free domain name with at least a six-month plan so you’ll save a bit of money there. SSL certificates aren’t free, though: you’ll have to pay for it as an add-on. On the upside, there’s a 30-day money back guarantee available for all web hosting packages. As for support, Webnames.ca is well-equipped with customer care that typically responds to messages, calls, and emails 24/7. Sadly, this service is only for English-speaking clients, as there are no other language options. With great features and affordable packages, Webnames.ca is a good choice for both startups and established businesses alike. However, it should be noted that PayPal users will notice a nonsignificant increase in their transaction every time. Wondering how Webnames.ca stacks up against other Web Hosting companies? Enter any other Web Hosting company and we will give you a side-by-side comparison.